Three Rivers College and Patrons of the Arts presented The Imaginary Theatre Company production of “The Tortoise and the Hare” at the Tinnin Fine Arts Center on January 14 to children from the Poplar Bluff R-1 school district. The afternoon show was sponsored by Sterling Bank. 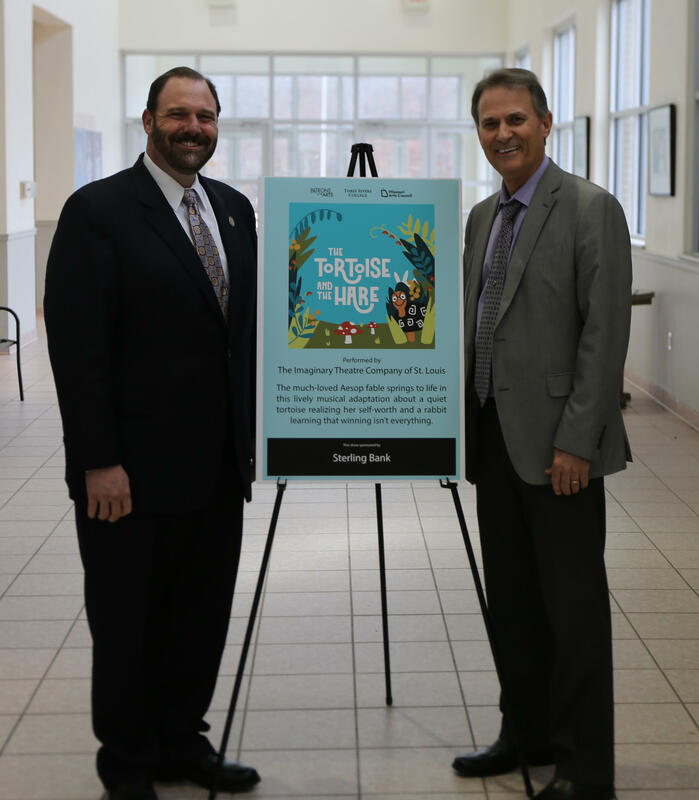 From left, Dr. Wesley Payne, President of Three Rivers College, and Todd Talkington, Senior Vice President of Sterling Bank.